Veronica has been a Master Gardener since 2008. 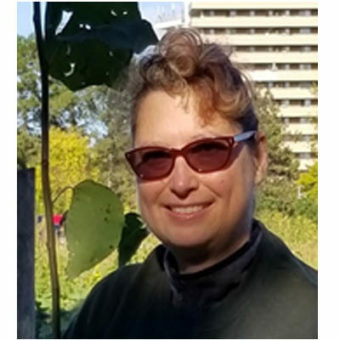 She is a Past-Coordinator of the Toronto Master Gardener group, a Past-Chair of the Ontario Rock Garden & Hardy Plant Society, and a Past-President of the East York Garden Club. Her East York home garden is a Certified Backyard Habitat, recognized by the Canadian Wildlife Federation. Low Maintenance and Lazy Gardening are her forte.